If you have found this page, you must have a desire for horse trail riding. There is nothing more rewarding than meandering down the trail with friends or even by yourself. 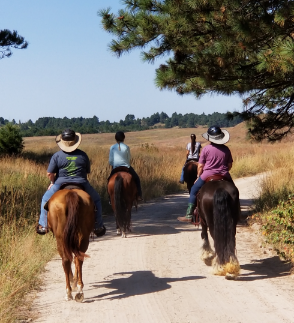 If you are just starting to trail ride with a group or need a refresher course, the following information will help you learn what is acceptable behavior on a trail ride. Safety for the horses, other riders and yourself is a common goal. Arrive on time and be ready before the ride’s start time. Never ride away until all riders are mounted up and ready to ride. Leave gates as you found them. Wait for the gate keeper to secure the gate and mount before riding away. Never leave a dismounted rider on the trail. 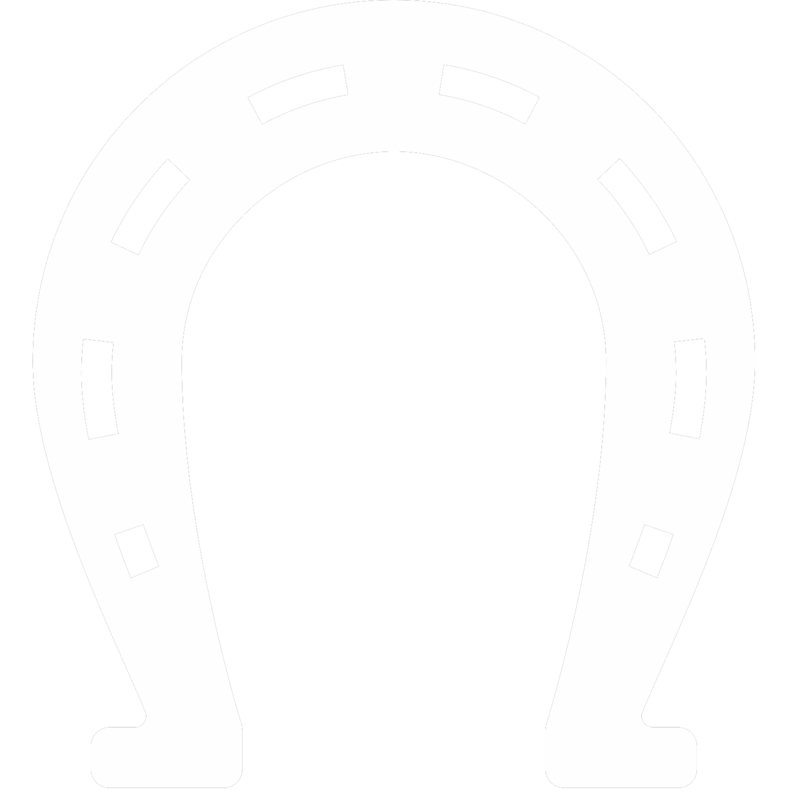 Ride one horse length behind the horse in front of you, or ride abreast if the trail is wide enough. Tell the rider in front of you when you intend to pass, and give them time to control their horse as you pass. Stay behind the Trail Boss. He/she knows where to go and the dangerous parts of the trail. Stay on designated trails. Many areas are now closed due to riders who ride off trails. Do not cut across switchbacks on a trail. Stay off muddy trails. Riding on muddy trails increases erosion. Do not trot or canter away from other riders until you notify them and give them time to get their horses under control. Horses can spook if other horses start running. At stream crossings, wait until all horses have had a chance to drink before riding off. Some horses have trouble crossing streams/water so give them space and time. Smoke only at rest stops where allowed, or not at all for fire safety. Riding and drinking alcohol do not mix. Save your drinking for the campground. Do not allow your horse to nuzzle, rub or kick other horses. This is annoying and dangerous. If your horse has a tendency to kick, tie a red ribbon in its tail. Always obtain landowner’s permission before riding on private land. Do not clean out your horse trailer in parking areas. Take manure home or to a designated area. Be polite to all trail users. Remember, to them you represent the entire equine community.